In 2017, Europe produced more Of its electricity from solar, wind and biomass resources than from coal. Today's market is more volatile, with greater variability in energy sources due in large part to the desire to reduce environmental damage. The European Union (EU) is on track to achieve its 2020 goal of reducing greenhouse gas emissions by 20% compared to 1990 levels l by reducing its reliance on carbon-based power. 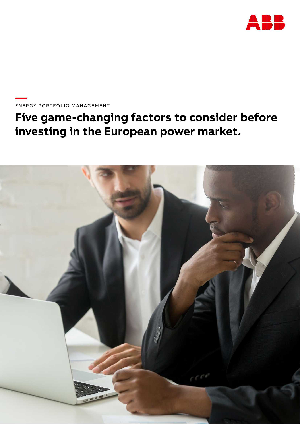 This paper examines the five most critical variables that investors, developers, and others must recognise in the due diligence process before investing in a new power generation project in Europe.